Life on Earth would like to welcome Granite Properties-Piedmont Center Buildings 5,6,7,8 as a new client. Located in the heart of the Buckhead district in Atlanta this Class A five floor quad building design boasts a bright minimalist modern lobby style. 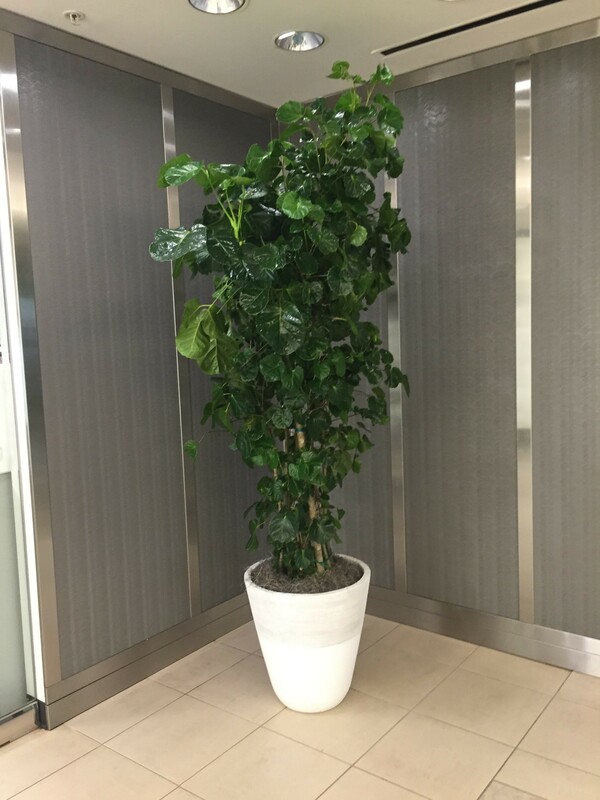 Outside the eight entrance doors are two low brushed aluminum saucers. 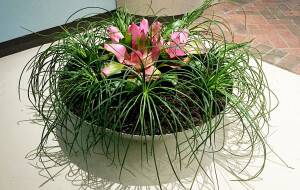 Designed with a welcoming presentation these low bowls have a modern style that enhances the building’s inherent character. 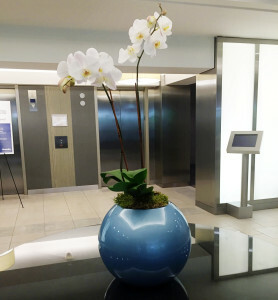 A double-stemmed phalaenopsis orchid installed in a Blue Diamond colored sphere is all the Piedmont Level lobby needs to make a powerful statement. 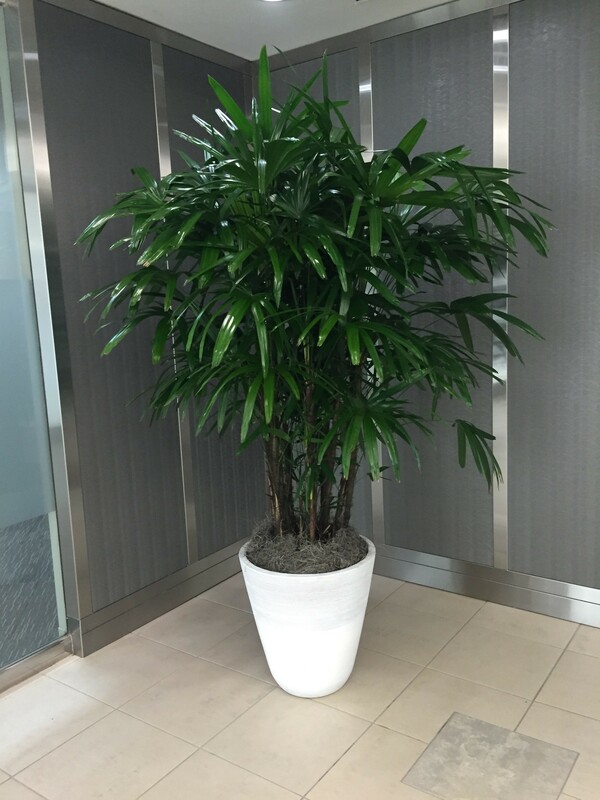 The Lower Level lobby doors are flanked by two Hawaiian Rhapis palms or Green Balfour Aralia.